Designed by Peter Tay, the Penthouse at Ocean Drive amplifies views from Sentosa Cove to the South China Sea. Photo John Heng. Singapore is a city where design is fast defining its identity and offering inspiration for others around the world. We take a look at the region’s new design hotspot recently named a UNESCO Creative City of Design and where Space Furniture, both strategically and somewhat fortuitously, opened its South East Asa flagship more than a decade ago. In 2001 when Space first launched in Singapore, the Ministry of Culture was busy laying the foundations for the DesignSingapore Council. 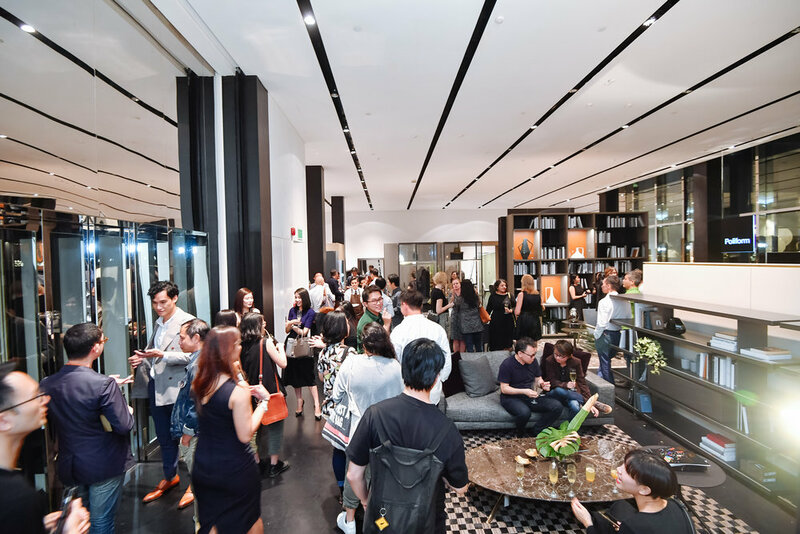 The design sector had been singled out as Singapore’s new growth area and design was the “differentiating competency” for local businesses. Much like Japan, South Korea, Denmark and Italy – four nations that have established their own country’s identity through good design – Singapore was aiming big. Ocean Drive's open plan spaces and high-gloss materials subtly dissolve boundaries between the environment outside and life inside. Photo John Heng. Soon followed the implementation of a design strategy and a swathe of multidisciplinary events that included Singapore Design Week and collaborations with the local design industry. Design began permeating all levels of commerce ensuring Singapore had a place in the global competition. It was at this time that Space Singapore both strategically and somewhat fortuitously launched its South East Asia flagship. 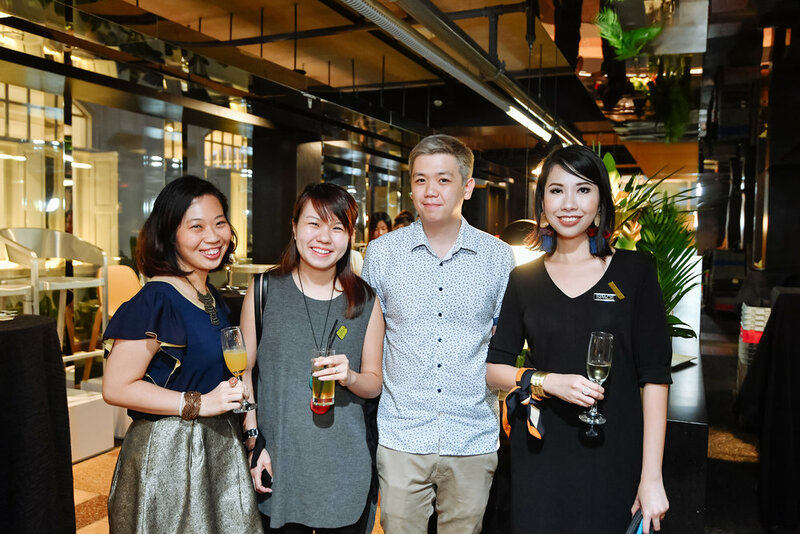 Eager to help foster a thriving local design scene, Space developed ties with the DesignSingapore Council early on. The relationship has since seen the development of cross-cultural exchange programs between Space’s network of international designers and furniture manufacturers, the local architecture and design industry, and the public, and helped to deepen Singapore’s place as an international design hub. The Ramp House by Formwerkz Architects is the perfect embodiment of Singapore – “A City in a Garden”. Design is part of Singapore’s DNA. For a country of over 5.5 million people squeezed onto an island smaller than Sydney, design thinking has always been (it had to be) front and centre of its development. Founding father Lee Kuan Yew made up for the country’s lack of natural assets by creating a city designed around beautiful green parks and boulevards. Instead of heading down the concrete jungle path, Singapore had flipped the vertical living stereotype by balancing buildings and density with lush, tropical gardens – many of them at dizzying heights of 30 storeys and up. With 72 hectares of roof gardens, large fig-lined streets, flowering trees and climbing creepers that have welcomed back butterflies and birds, it’s no wonder that the city’s biophilic design approach is doing wonders to improve both physiological and psychological well-being, while badging Singapore “A City in a Garden”. When you look at contemporary architecture in Singapore, the garden narrative features strongly. 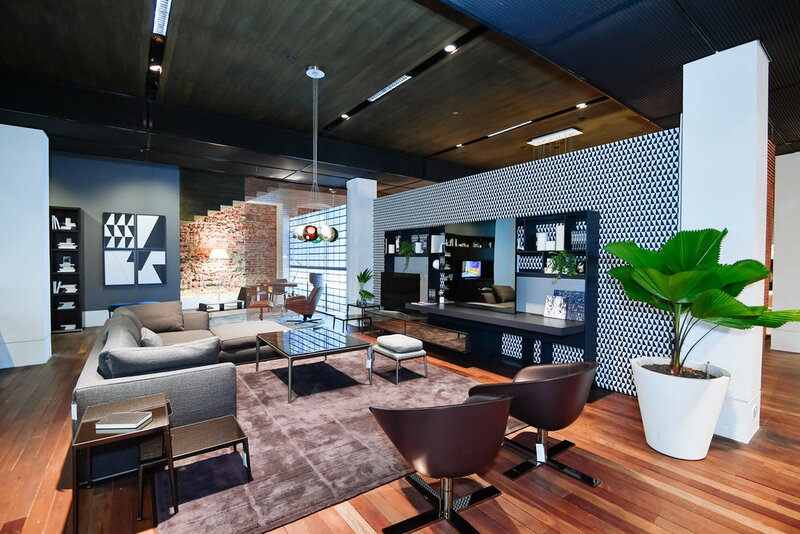 Local practice Formwerkz has established a loyal following and a string of awards for houses that blur inside and out. In many of their projects, the garden and house are woven together seamlessly. Their clients are drawn to the idea of living with nature and pushing that narrative is creating exciting architectural results. Examples like the Ramp House with its continuous external walkway that weaves its way up from the garden to the rooftop, connecting with the outdoors and allowing kids to run and play; and Open House, Formwerkz director Gwen Tan’s own home, with no fixed glazing but soaring screens that temper the weather and allow breezes, sounds and the seasons to connect with life on the inside. Open House by Formwerkz employs screens instead of glazing to temper the weather and allow breezes and the seasons to connect with life on the inside. Scaling this up substantially is one of two new generation public housing projects at Dawson estate in Queenstown. SkyTerrace by SCDA opened in 2015 and is a series of five residential towers connected by elevated ‘garden bridges’. The project incorporates children’s playgrounds, communal spaces and roof gardens, with multi-generational loft units and studio apartments to allow young families to live next to their parents. While on a more intimate scale are two new apartment interiors. Local studio Brewin Design Office crafted a beautiful apartment inside Jean Nouvel's new Le Nouvel Ardmore apartment tower, while inside the Sentosa Cove development, Peter Tay has opened up a large penthouse with reflective materials to enhance experience and views and subtly dissolve boundaries between the environment outside and the internal areas. 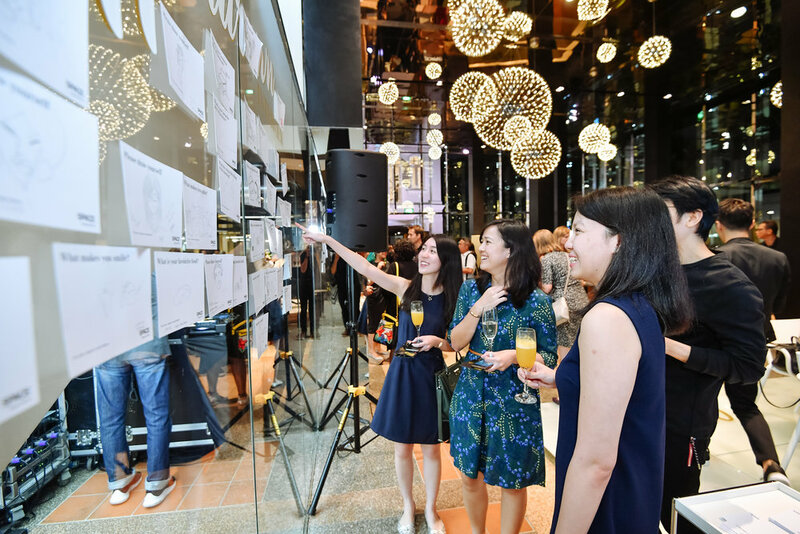 While architecture and design have been steadily establishing Singapore’s identity, expanding design’s application within businesses is at the core of the city’s ambitious ‘Design 2025: The Future of Singapore Design’ masterplan. Supported by the Design Singapore Council and the Economic Development Board, insights were gathered from leaders in business, academia, government and the design industry, including members of the Space team, to cultivate a “nation-wide attitude and aptitude for design”. One of the key strategies of the Design 2025 plan is to further develop design understanding within the community. 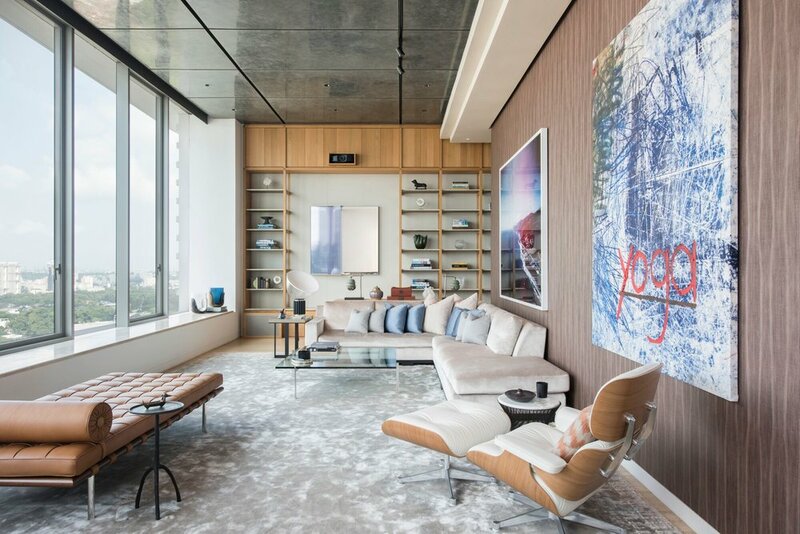 One of Brewin Design Office's latest projects is a beautifully crafted apartment inside Jean Nouvel's Le Nouvel Ardmore tower. To this end, sharing knowledge through cross-cultural events has underpinned the philosophy of the Space design program and broadened ties and potential collaboration between international studios. Architects and designers from Italy, The Netherlands and France, names including Antonio Citterio, Chi Wing Lo, Marcel Wanders, Patricia Urquiola, Massimo Scolari, Carlo Colombo, and most recently Jean-Marie Massaud, have engaged with local design practitioners and the wider community, sharing industry insights and their latest works in a series of talks, workshops and design events. Architects, designers and the Singapore media joined designer Patricia Urquiola at the launch of her Canasta collection for B&B Italia at Space Asia Hub in 2013. Designed by WOHA and located within Singapore’s Arts and Heritage District, Space Asia Hub is housed within a unique cluster of heritage buildings. Singapore design students from the 2012 Space Nurtures program at Domaine de Boisbuchet, France – taking part in the annual summer workshop with internationally renowned designers Hlin Helga and Ronald Jones from The Experience Design Group. Furthering this initiative in collaboration with the DesignSingapore Council and the Nanyang Technological University’s School of Art, Design and Media and Lasalle College of the Arts, the Space Nurtures workshops were established to support the next generation of designers. Launched with Swiss furniture manufacturer Vitra, the program sent local design students to France to spend the summer at Domaine de Boisbuchet learning the skills of design practice at the foundation’s world-renowned workshops, followed by an attachment program at Vitra.. The chance of working with celebrated designers Hlin Helga and Ronald Jones from The Experience Design Group puts the importance of the program into perspective. Over the past decade, the Singapore skyline has changed radically. Areas like Marina Bay have blossomed with the help of contemporary architecture, restaurants, bars, and soon the prestigious Red Dot Design Museum will open its doors. However with expansion, the pressure on the past creates issues between the future city and its heritage. In Singapore, this has harnessed the local community into action. To celebrate the city’s architectural past, colonial buildings – most notably shophouses with their unique blend of Asian and European design influences – have been restored, fostering new communities of artists, architects and designers, and the arrival of restaurants, hotels and small bars. Designed by Hassell and the first in South East Asia, the Credit Suisse workspace in Changi is part of the group's Smart Working program. Singapore is now a hub for international design practices. The Australian architecture studio Hassell launched its Singapore office in 2010 and recently merged with local designers Paul Semple and Matthew Shang of Distillery. The duo is well known for their inventive ideas that are transforming historic buildings into the city’s most talked about boutique hotels and bars. The Club Hotel occupies three historic shophouses on Ann Siang Road in Chinatown, the Manhattan Bar has been listed as one of the world’s top bars and has reinvigorated the Regent Hotel, while Proof Flat is a quirky apartment come bar and distillery on the second floor of a 1940s shophouse on Hong Kong Street. 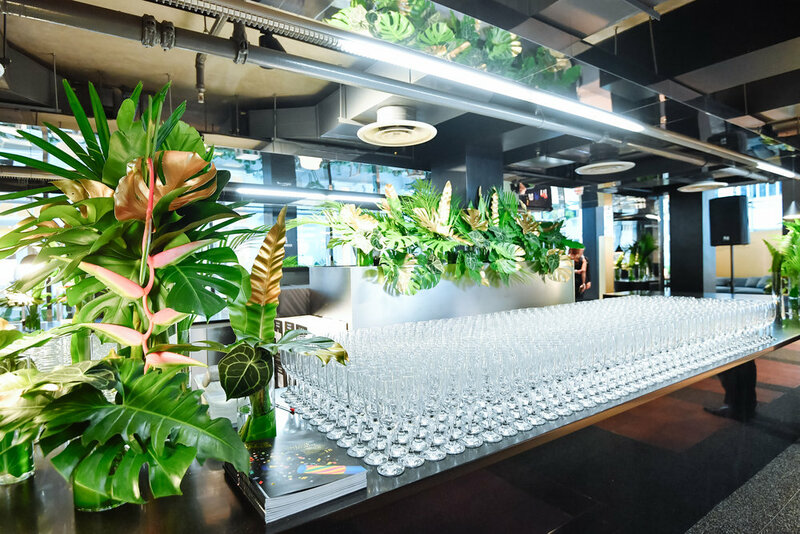 The studio has also completed the Credit Suisse’s workspace in Changi, part of the organisation’s Smart Working program and the first in South East Asia. Also working within a heritage context, Space opened its Space Asia Hub showroom in 2011 within Singapore’s Arts and Heritage District. 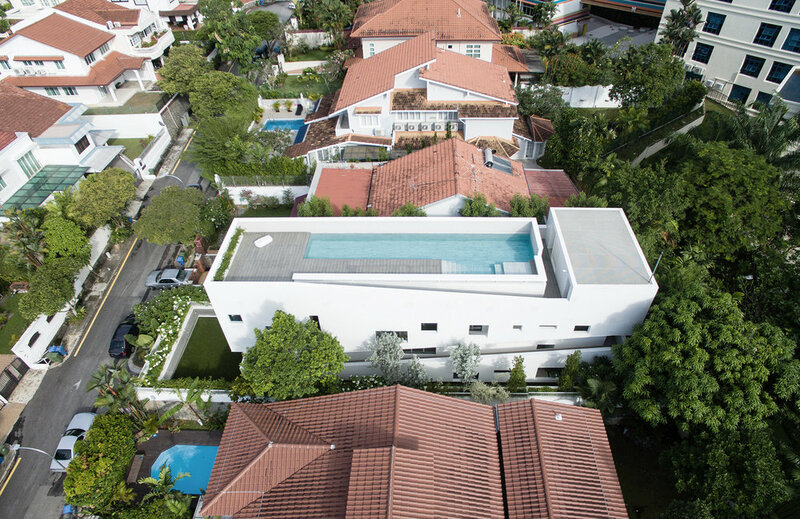 Designed by the internationally renowned architectural practice WOHA, the project is housed within a unique cluster of heritage buildings including two conserved buildings – a villa and a shophouse – flanked by a contemporary in-fill named the Glass Block. Through adaptive re-use and calibrated architectural intervention, the redevelopment balances the needs of a contemporary retail showroom with the charm of its heritage stature. “Space Asia Hub is one of the most [architecturally] beautiful showrooms in the world,” enthused Giorgio Busnelli, second-generation founder of B&B Italia, who was involved in the project. “I am sure it will become a reference point, a window and a destination store for all of Asia”. The building won an Architectural Heritage Award from the Urban Redevelopment Authority in 2012. Singapore’s vibrant architecture and design scene attracted the attention of UNESCO who named Singapore a Creative City of Design in 2015 for its innovative design development. 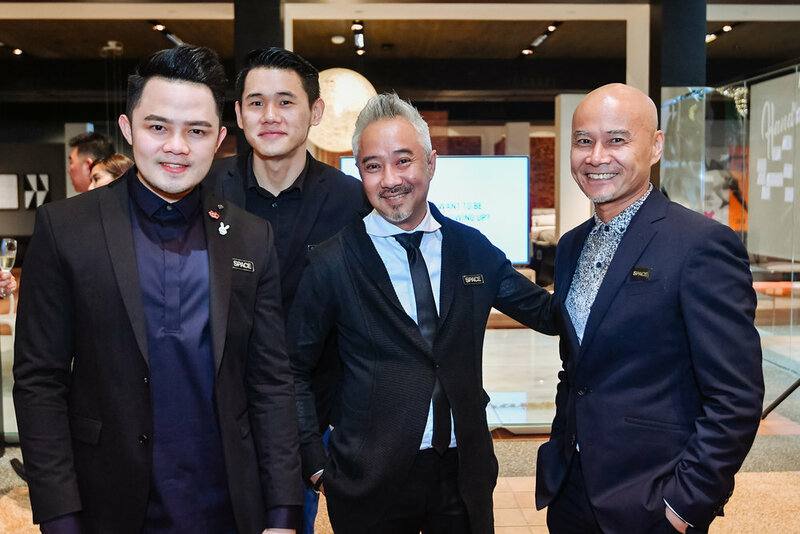 That recognition is a significant milestone, affirming the good work the DesignSingapore Council and the architecture and design community have done to elevate Singapore into one of South East Asia’s design hotspots. If the government’s Design 2025 goes to plan, not only will Singapore be the region’s most livable city, but also its most loveable city too. 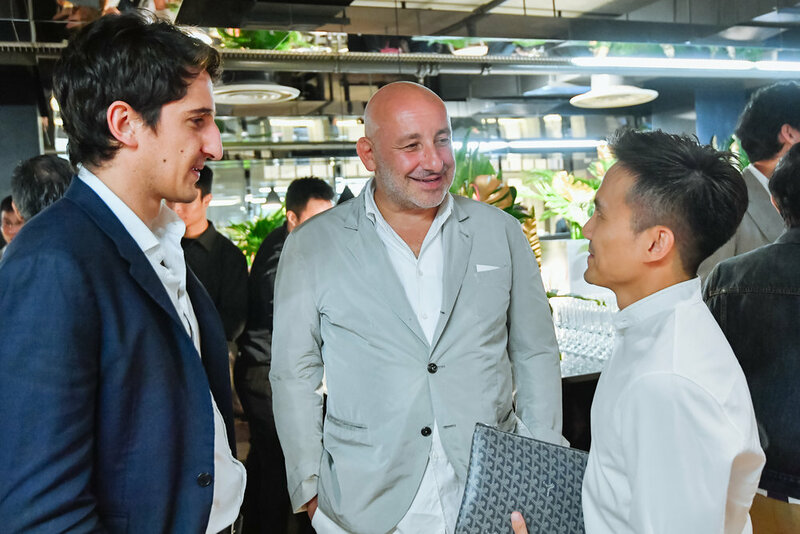 Space Asia Hub celebrated its 16th anniversary in Singapore with the local A&D community and international guests including French architect and designer Jean-Marie Massaud.